Luxury Contempory Waterfront. 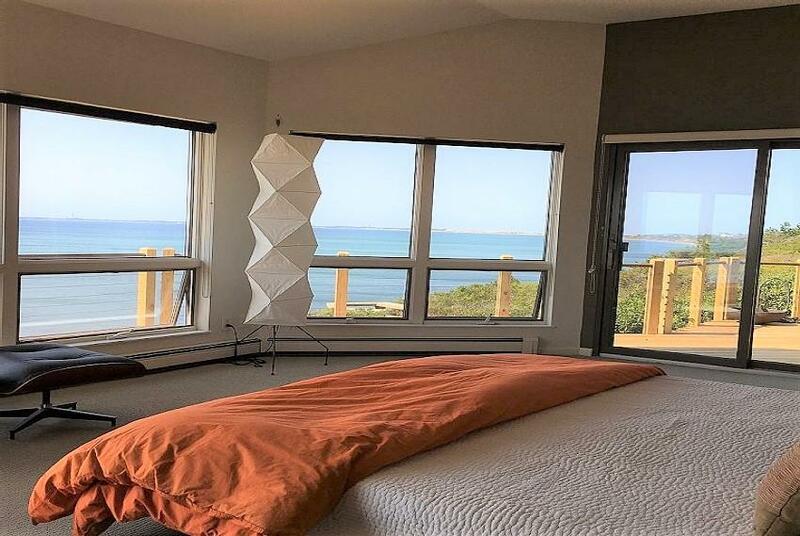 This beautiful 4 bedroom home has an open floor plan with amazing views of Cape Cod Bay. Cental Air Conditioning. 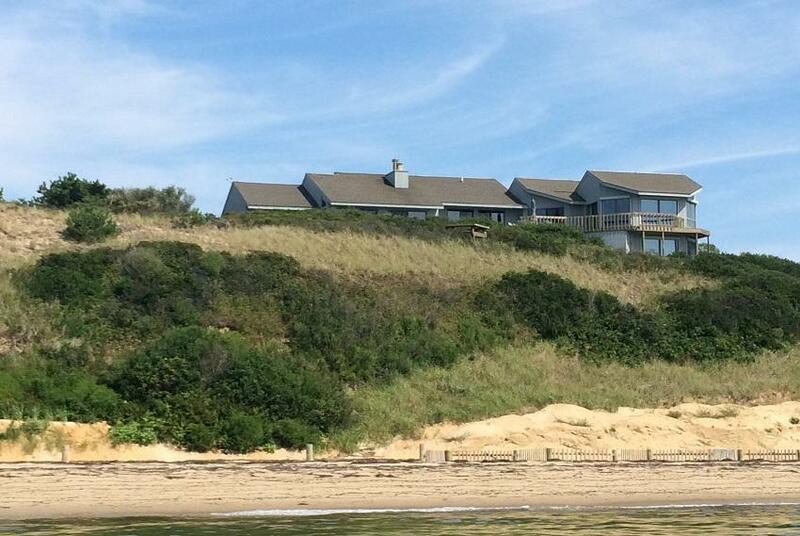 Set on the bluff in Shearwater with your own stairs down to the private beach. Tesla car charger in garage. Living room with expansive water views that opens to decks with comfortable outdoor seating and umbrellas. 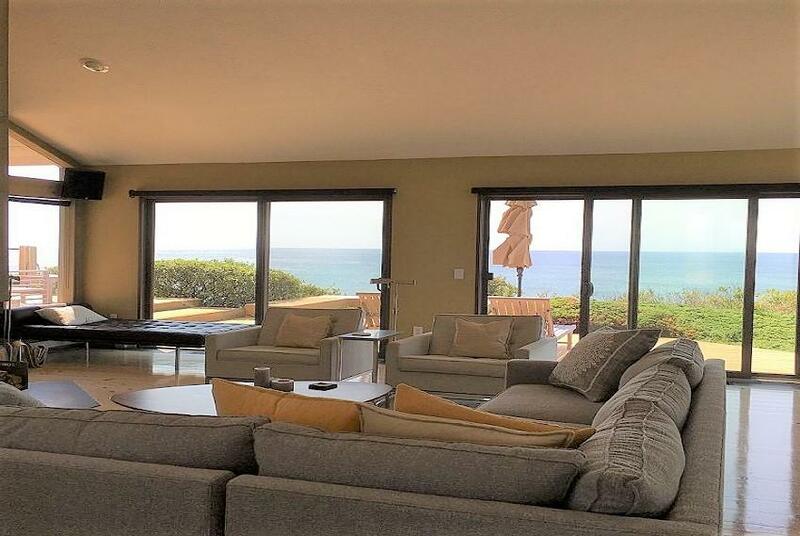 Media room with flat screen TV and comfortable seating with bay views opens to deck. Spacious kitchen that opens to a private brick patio to the front and the deck with bay views to the rear. 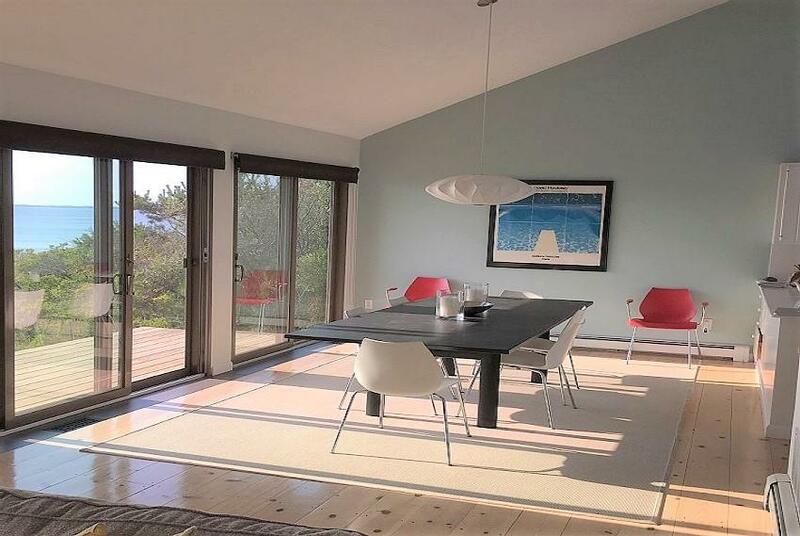 The Dining Area off the kitchen has great bay views and opens directly to the deck. Enjoy cool breezes and unobstructed panoramic views while relaxing on the chaise loungers or dining on the deck. 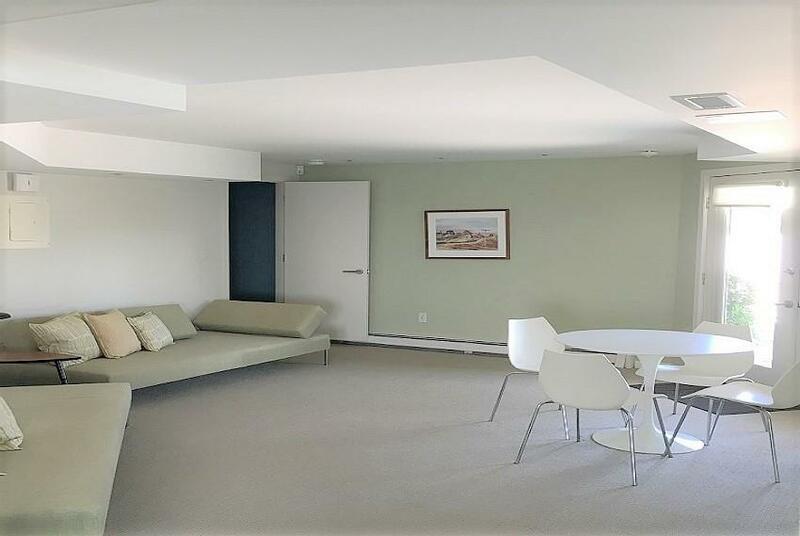 This home has lots of great interior and exterior spaces for guests to gather. Four nicely furnished bedrooms. Bedroom 1 with King Bed. Bedroom 2 with Queen Bed. Bedroom 3 with two Twin Beds, Bedroom 4 with Queen Bed. Three luxurious bathrooms. Naturalized landscaped grounds. 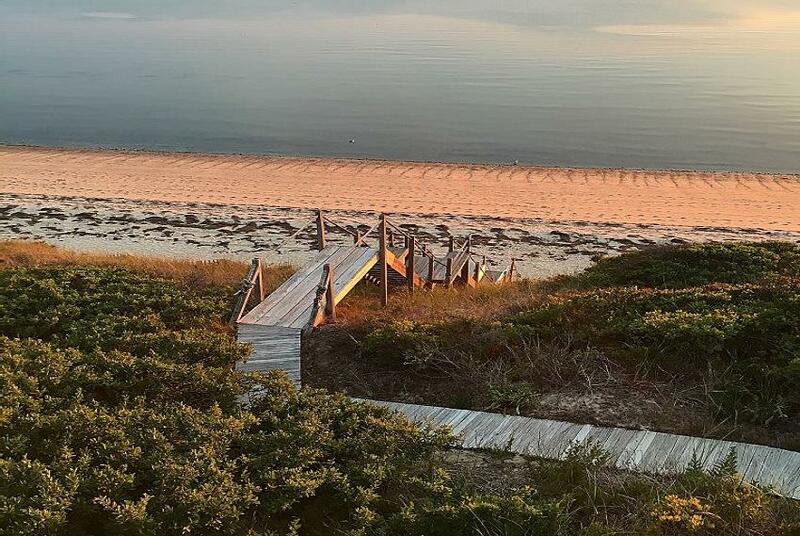 Private walkway to your lookout over Cape Cod Bay with seating. Outdoor shower enclosure with hot and cold water. Webber gas grill. Two car garage with lots of extra room for storing bikes, kayaks, surfboards, etc. The owner supplies beach chairs, beach umbrellas and beach towels for the use of guests. This stunning waterfront home situated on the bay bluff in Truro is the perfect spot to enjoy coastal living. Call for availability and pricing for Summer of 2019. $50 Booking Fee & $2,000 Security Deposit.